Whether you want to develop an iPad app for improving services for your business or to simplify your business process, our team of dedicated iPad app development team always eager to help you. 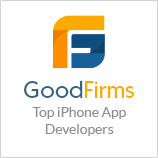 Our professional developer’s capabilities to conceptualize app ideas and develop them into feature-rich iPad applications at affordable prices makes us a prominent custom iPad app development company all over the world. We are developing iPad applications for education, business, finance, games, news, lifestyle, multimedia, travel, and various other categories. Our custom iPad app development strategists benefit you with effective pricing and thereby minimizing your app development cost. Our enterprise iPad apps align development services allow you to multi-task while on the go with capabilities such as view sales updates, hold live meetings with clients, video collaboration and much more. Our app development team has developed enterprise iPad apps for healthcare industry verticals such as construction, healthcare, insurance, pharmaceuticals, publications, and real-estate and various other industries. Why Choose us for iPad App Development Services? At Siya Infotech Solutions, we support our clients by providing custom iPad app development work with the help of our in-house team. Our iPad application development services are priced affordably and are backed by our expert and skilled iPad developers. We offer great balance between cost affordability and quality delivered. Well, helps you to stay ahead of the edge so that you give a tough run to your competitors. Moreover, App development rates that offered by us are highly competitive, as we understand the different needs and budget of start-up firm and established enterprises.